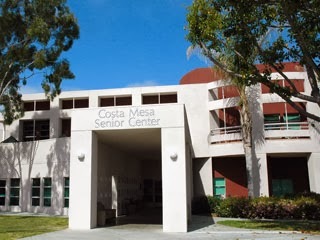 Nearly two dozen visitors observed as the Costa Mesa Charter Committee, facilitated by Dr. Kirk Bauermeister and Dr. Mike Decker, met again Wednesday night to continue the long, slow march toward having a document ready to present to the City Council by the end of February. And the stress of their task is beginning to show. 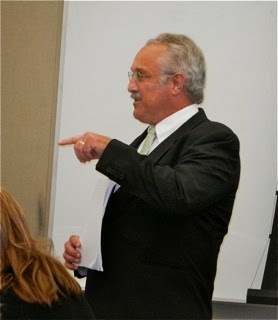 He also suggested that the City review PERS status annually and have PERS provide 30 year projections. The committee discussed Arthur's numbers at length and speculated about things that might be done in a Charter and acknowledged that there is NOTHING they can do about the current unfunded liability. They came up with a statement requiring voter approval for any increase in pension/other retirement and post retirement health benefits. It's unclear just how that might be implemented, so it will be discussed further at the next meeting - on February 12th in Conference Room 1A at City Hall at 6:00 p.m. They moved on to Outsourcing. 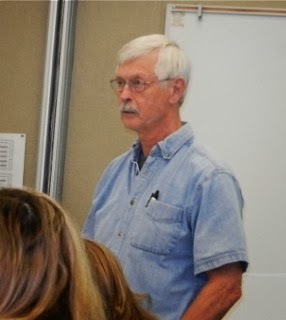 Bob Ooten, current member of the Costa Mesa Sanitary District Board of Directors and a man with decades of experience managing operations with the Orange County Sanitary District presented his views on the value of Outsourcing earlier during Public Comments. The City may enter into a contract for any services unless limited by the constitution of the State of California. The City shall periodically review its existing operations and services to consider whether said operations and/or services may be performed as, or more, efficiently and effectively by a third party. Any contract entered into pursuant to this provision shall be ratified in accordance with the procedure set by the City Council. The sale, conveyance or exchange of any real property owned by the City shall require supermajory approval of the City Council. All powers of the City shall be vested in the City Council except as otherwise provided in this Charter. The then moved on to COIN, Mayor Pro Tem Steve Mensinger's much-ballyhooed and as yet untested scheme to improve transparency in labor negotiations, and a discussion of whether it should or shouldn't be placed in a Charter. At this point the tensions between some members that had been building began to manifest themselves. 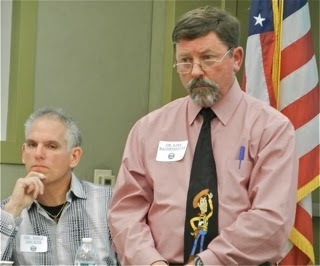 Sharp comments between Harold Weitzberg and Kerry McCarthy and Weitzberg and Tom Pollitt marked the discussion. Frequent references to "the unions" rankled Weitzberg and the comments seemed more political than helpful. At one point Weitzberg corrected Pollitt's remark that a "union-backed council" approved recent pension increase decisions - reminding him that the council majority that approved those changes was not "union-backed". Pollitt lost it! His face turned beet red, he slammed his fists together, jumped up, turned briefly toward Weitzberg, then spun on his heel and stormed angrily into the small kitchen room and slammed the door behind him. He returned about a minute later, apparently calmer, but left the meeting promptly after it ended shortly thereafter. That was the worst moment of all the meetings so far and doesn't bode well for future meetings. Member Bill Fancher also complained to Decker and Bauermeister about being ignored, and that it took 20 minutes for him to be recognized to make a statement or ask a question. I didn't see that happening, but he might have thought it did. Again, another tense moment. Clearly, the stress of this process is getting to some of the members. Only Mary Ann O'Connell was absent tonight. I suspect the next couple meetings could get interesting as the committee begins to tighten up the language they've created. They've almost finished their agenda and appear to be on schedule for that end of February date to present their work product to the City Council. We'll see on February 12th. Off to the Costa Mesa Sanitary District meeting Thursday at 5:30 in the Neighborhood Community Center, 1845 Park Avenue (Lions Park) to hear the Board discuss their Organics Recycling scheme and see if they actually vote on it. It's possible they will commission more community outreach meetings like the two already held to further gauge community sentiment for this costly, inconvenient change in the way our trash is handled. Geoff, thanks for the update. Why does it always seem that Pollitt's name is connected with some inappropriate comment or act of lunacy? Pretty obvious he doesn't play well with others if they do not agree with his Tea Party attitudes. It's been mentioned around town that Kerry McCarthy is still angry that her husband didn't win the election. Since Harold ran against him I imagine she would hold it against him. This document so far, from what I have seen isn't going to do anything for the city except cause many headaches and and possible lawsuits. Can't imagine there is anything in there this city really needs anyway. These guys better pull themselves together, as they don't have much time left. Maybe Pollitt can start praying, and hopefully Kerry can get over herself. Sorry to hear that Tea Party Pollitt flipped his lid. Maybe he learned craziness from his buddy Michelle Bachman. I'm surprised that Tea Party Jeff Arthur didn't restrain his comrade. Maybe if Tea Party Riggy was there it would have helped. It's interesting that the wording about outsourcing allows no-bid contracts. Charter cities are exempt from California law prohibiting gifts of public funds, so there's no legal reason the Council couldn't pay triple the going rate for street sweeping, for example, or sell public lands for $1.00. Is the committee's legal advisor OK with this language? So, Tea Party Tom lost it when Harold countered that the council approving the pensions was not union backed. Well, Tom better get use to it because that tired, old New Age McCarthyism he spouts isn't working anymore. Costa Mesa voters are getting sick of that rhetoric and they've seen where the councildudes who parrot that nonsense have taken our city.